Minneapolis-based startup Cardialen is developing a low-energy defibrillation technology and has raised $17 million to develop this implantable device. Conventional implantable cardioverter defibrillators (ICDs) restore the normal heart rhythm or restart a stopped heart using high-voltage shocks. This process resets the electrical system of the heart and is extremely painful. Cardialen, a Minneapolis-based startup, is working to defibrillate the heart without high voltage shocks and thus restore the abnormal high heart rhythm. The technology uses the discovery of Igor Efimov, a bioengineer, who funded a laboratory at the George Washington University to develop a method to defibrillate the heart using low-voltage shocks. The company has raised $17 million to fund its goal in a series B funding. “Unpinning termination” (UPT) is the technology used to validate this approach. This technology uses low voltage pulses that are meticulously timed to gently restore the heart rhythm and not one big shock. 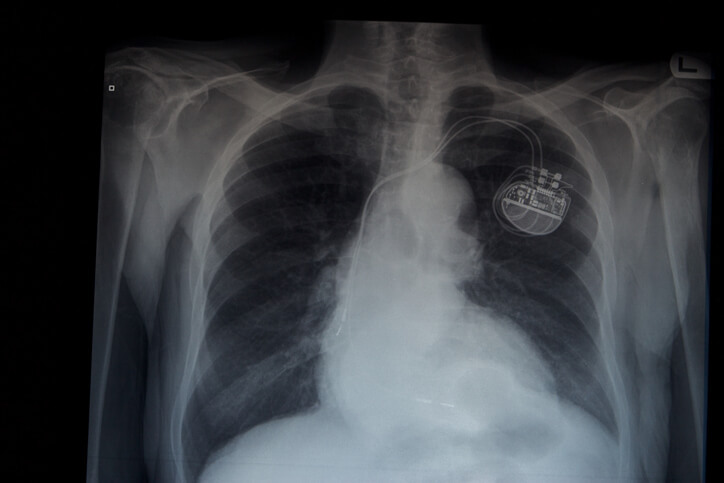 This implantable device avoids the adverse effects of high voltage shocks and helps reduce mortality issues. This device also eliminates the discomfort and pain that occurs during the process. This approach of using a series of smaller pulses to slow down the fast heartbeats has worked completely fine in animal testing and initial feasibility testing in humans. Jeff Peters, the CEO of Cardialen, told the media that the last critical change in the fundamental therapy of the defibrillators took place back in the ‘90s. He said that the company with that approach was working towards something innovative and different. He further said that the company was not aiming at minute advancements or very small improvements but, a completely new therapeutic approach. A sequence of low-energy pulses which accomplished what high energy did was how he explained this new therapeutic approach. River Vest Venture Partners, along with Qiming Venture Partners, HBM Healthcare Investments and Cultivation Capital led the series B round. Jay Schmelter, the managing director of River Vest Venture Partners, said that the UPT therapy met a unique need in the potential defibrillator market. He further said that UPT therapy results looked promising and expressed his yearning to partner with the Cardialen company on that innovative approach. The company decides to use the raised funds on the clinical safety of the Unpinning Termination therapy (UPT) in humans and to develop an implantable device to deliver the therapy. The company is striving to get approval from the US government for the marketing of their new technology in the US. Also, their technology approach is being cross-examined and interviewed. Efimov, a bioengineer, whose discovery is used in the creation of this new technology, said that the present day implantable defibrillators generated high shocks. He said that these shocks came with high mortality rates and the new approach of defibrillators was to reduce these rates by giving patients fewer shocks or using a low-energy therapy. He added saying that their goal with the UPT therapy was to lower the negative effects of the high-energy therapy and provide a better quality of life to the patients.